Treat your family and friends to a special experience this Easter weekend in London and enjoy our bottomless brunch at Mercante! Kick off your boozy Easter brunch with starters like Caprese or Mozzarella "Carrozza" and indulge yourself in homemade Lasagna or a Vegetarian Cauliflower Bake. Our heavenly desserts selection include Italian classics like Tiramisu and Chocolate & Limoncello Cannoli. Tuck into a delectable Easter Bottomless Brunch with bubble refills over the Easter Weekend, from 20th to 21st April, 12pm - 6pm. 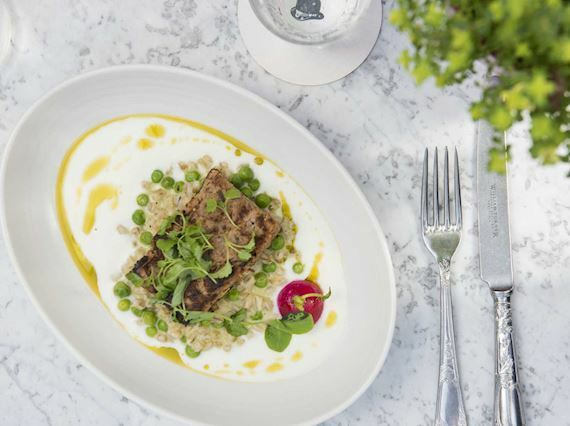 Includes three courses with bottomless prosecco for £35pp. *free-flowing prosecco served for 90 minutes. 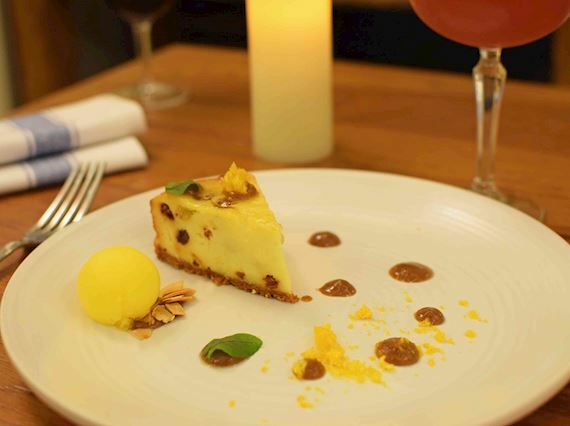 Start the long Easter weekend in London with a delicious lunch or dinner at Mercante! Our Italian Restaurant in the heart of Mayfair offers a Good Friday lunch and dinner menu of seasonal Italian dishes. Only available on Friday 19th April 2019 12pm - 5pm. Only available on Friday 19th April 2019 5pm - 10pm. Deciding between breakfast and lunch on the weekend? 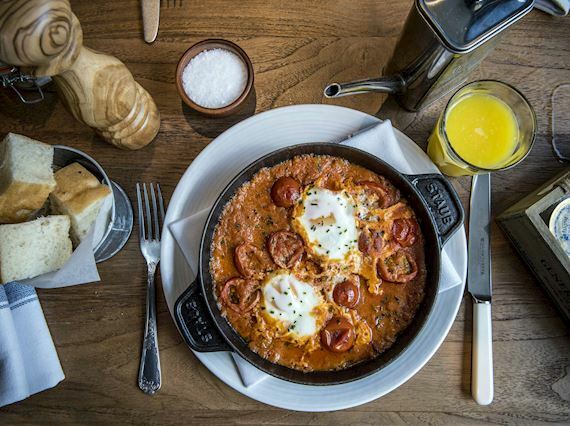 Bring together your friends and family for a sociable bottomless brunch with an Italian twist! Kick off your boozy brunch with starters like Caprese or Mozzarella "Carrozza" and indulge yourself in Chicken Peperonata or a Vegetarian Cauliflower Bake. Our heavenly desserts selection include Italian classics like Tiramisu and Chocolate & Limoncello Cannoli. Tuck into our delectable Bottomless Brunch with bubbly refills every Saturday and Sunday from 12:00pm - 6:00pm, with 3 courses including prosecco for £35 per person. We've got lunch sorted with an express menu of seasonal Italian dishes, for just £15 for 2 courses or £19 for 3 courses. Choose from sputini (small dishes) to carne & pesce (meat and fish). 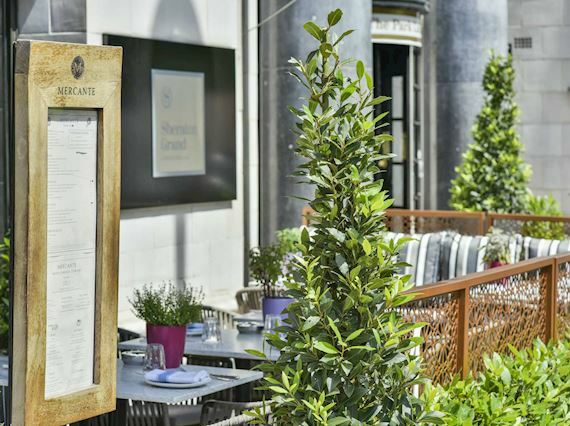 Whether you are looking for a relaxing lunch with an open terrace to enjoy the sun in the heart of Mayfair, a short break from the office to refuel or planning a business lunch with colleagues, we have a little something for everyone. Available from Monday to Friday from 12:00pm - 5:00pm. As a restaurant that delivers fresh and seasonal Italian food, our menu takes inspiration from the bustling markets of great Italian cities such as Rome, Venice and Napoli. Indulge in Italian everyday market food "Per Oggi" with our Market Dinner Menu. 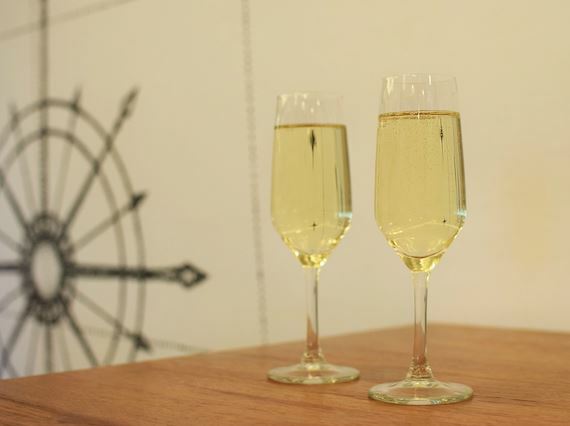 Start off with an aperitivo prosecco and choose from seasonal variaton of Spuntini, Carne & Pesce and Dolci. The 3 Course dinner & a glass of prosecco is available daily for £29 per person.